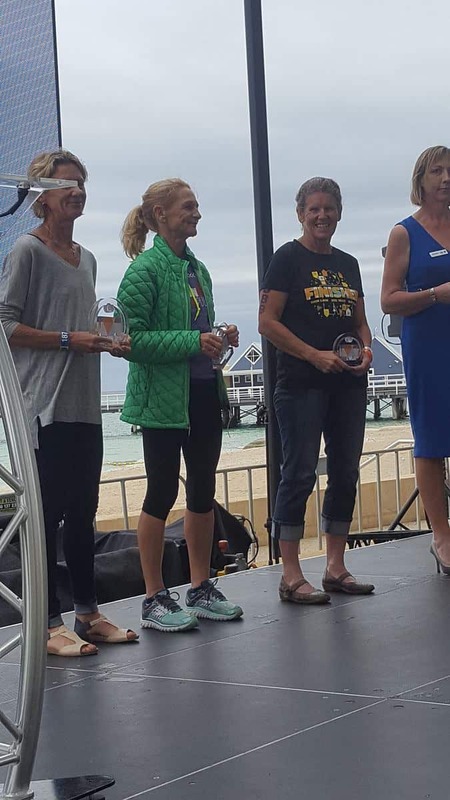 Always a fantastic event, the 2018 Sunsmart Women’s Tri was a windy but enjoyable day out. Anna did the mini which has lit a fire under her after missing a podium place in her age group. She will be working extra hard in the pool over coming months. 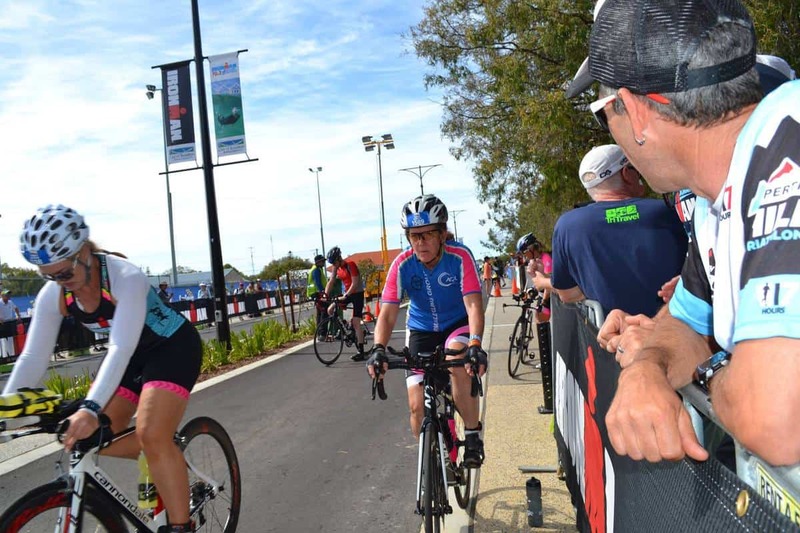 Jenny did her first sprint. 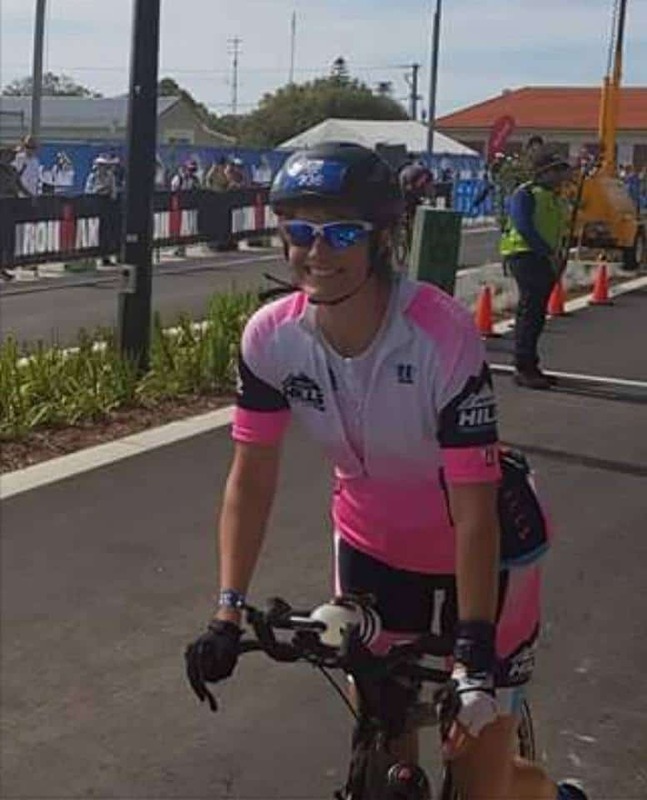 She said of the event, “Great course, cross wind on the ride was a bit challenging, but it was also a blessing having the wind on the run course.” She is already planning her next race. The blokes were down there supporting with unofficial club photographer Alex capturing the event and Coach Rob helping as a TO. Posted on March 16, 2018 under in Race, Uncategorized | By nikkyb. 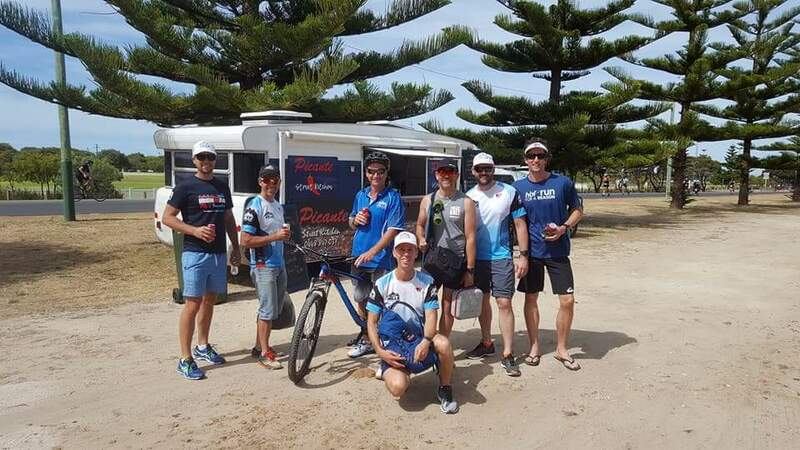 The wolf pack had an amazing day at Busselton Ironman and 70.3. 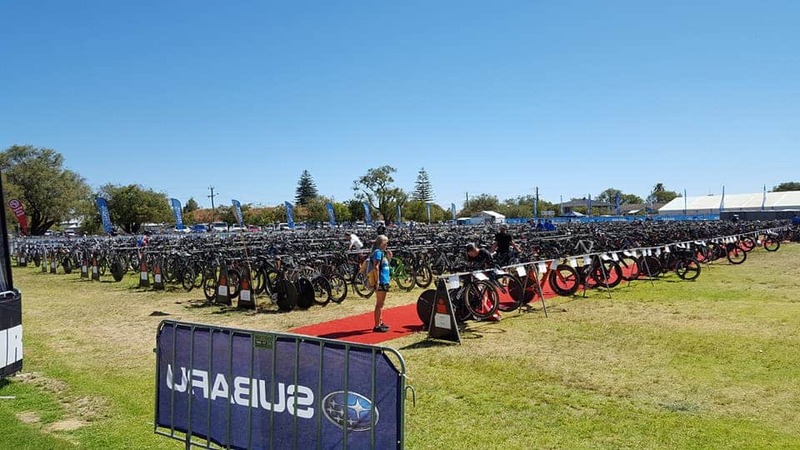 Monica got a 3rd in her age group, Ian did his fifth Busso IM and these awesome athletes completed their first event: Justine T, Jason D, Moana M, Monica B and Shane M.
Busso 70.3 IM was an interesting start. 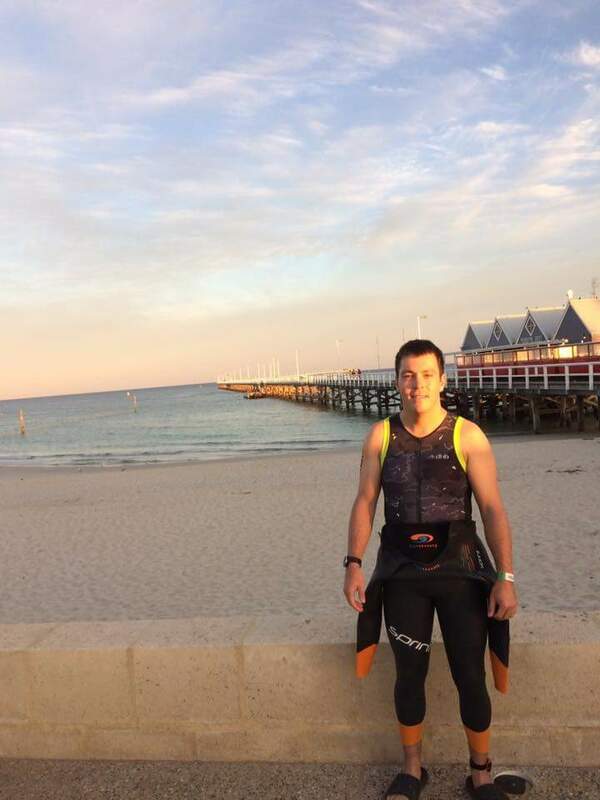 I had started the swim 500m in and found myself turned back to shore with a shark who came to checkout the action. The ride and run were hot! 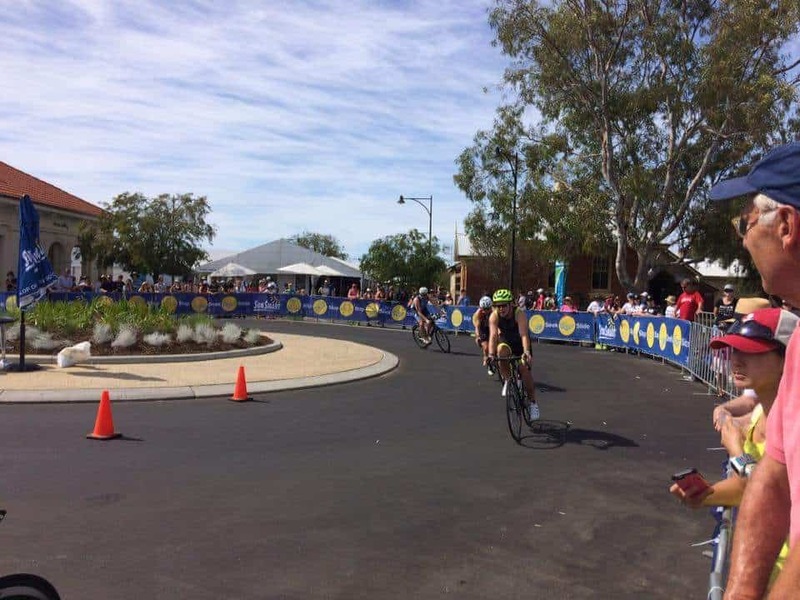 By far my favorite was finishing, coming back and cheering our amazing IM athletes home. It was so much fun at the PHTC tent. Thanks everyone!! 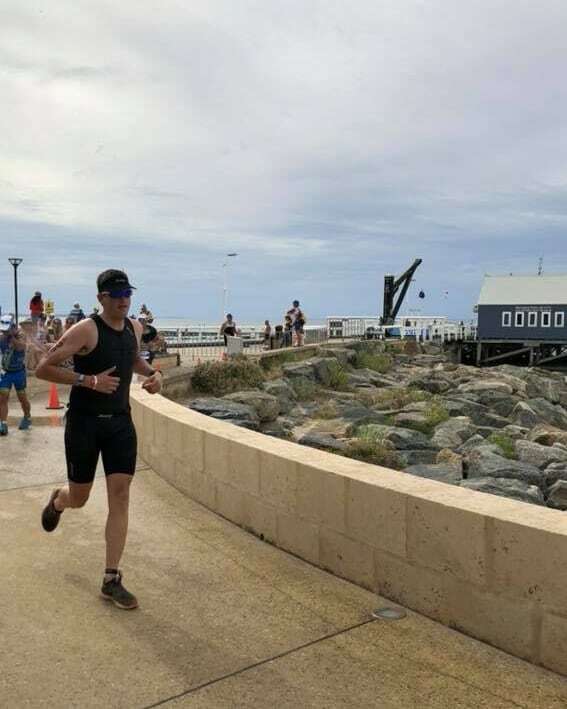 It was my first time competing in a half ironman and second ever triathlon (power station tri the weekend before was my first). I did a lot of the training myself and came up with my own program. I tried to get to as many swims with PHTC as I could when I wasn’t working. 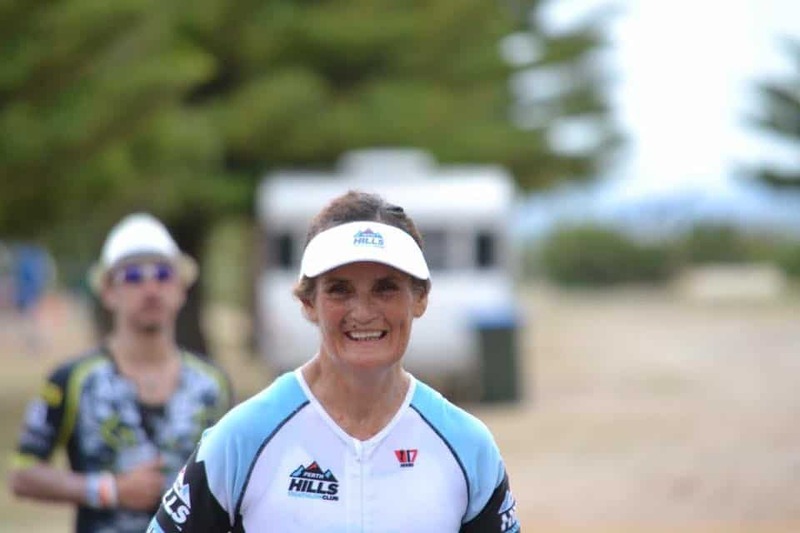 I felt confident leading into Busso that I would make it to the end. I made it almost half way around the swim before being pulled from the water. 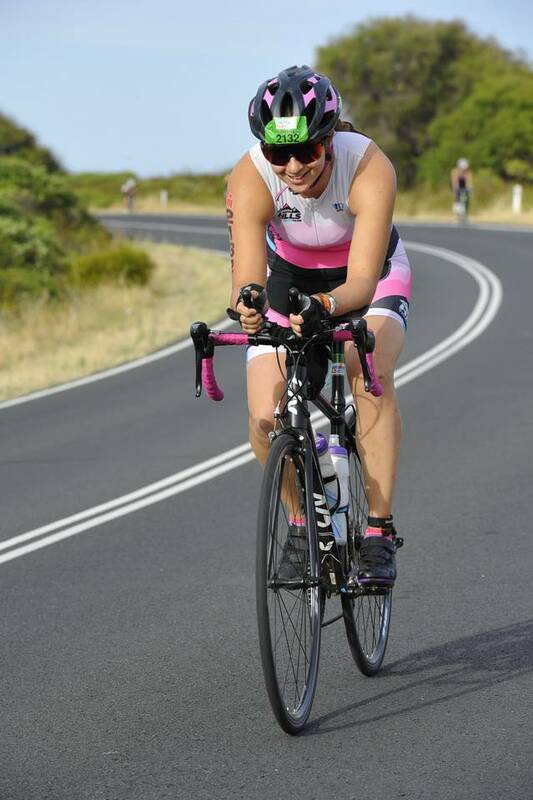 I loved the ride course along the coast and into the tuart forrest and was feeling really good out of T2. The first lap of the run I set a PB over 12km before I started to fade with sore legs and the heat picking up. 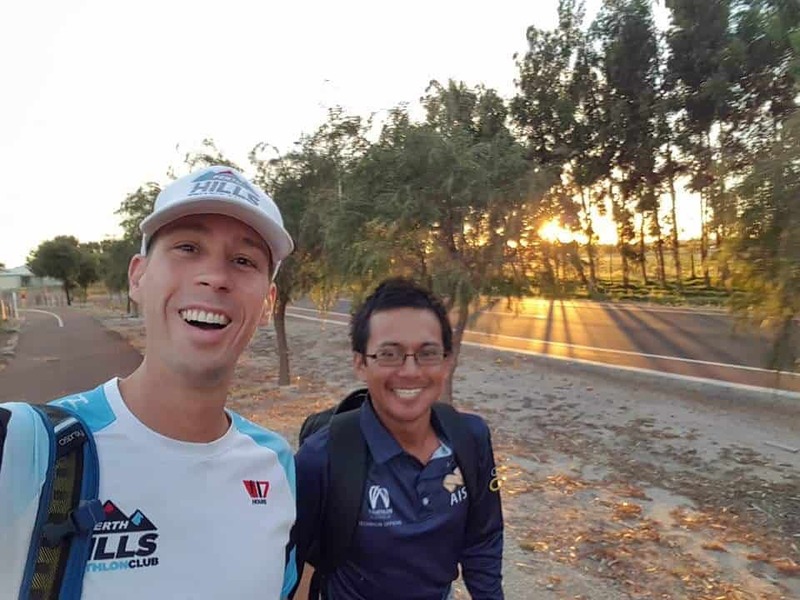 I was really happy with my time (4h44m) and exceeded all expectations. 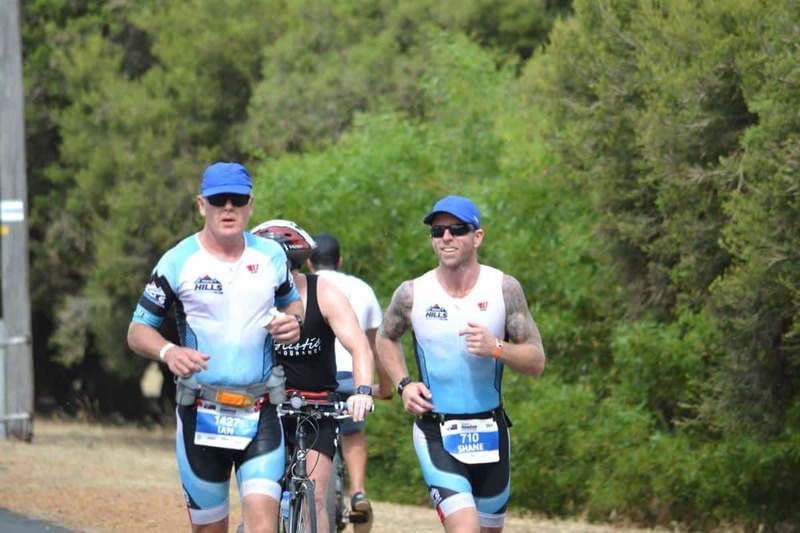 I have now signed up for the May event as I feel I have unfinished business after the swim was cut short. 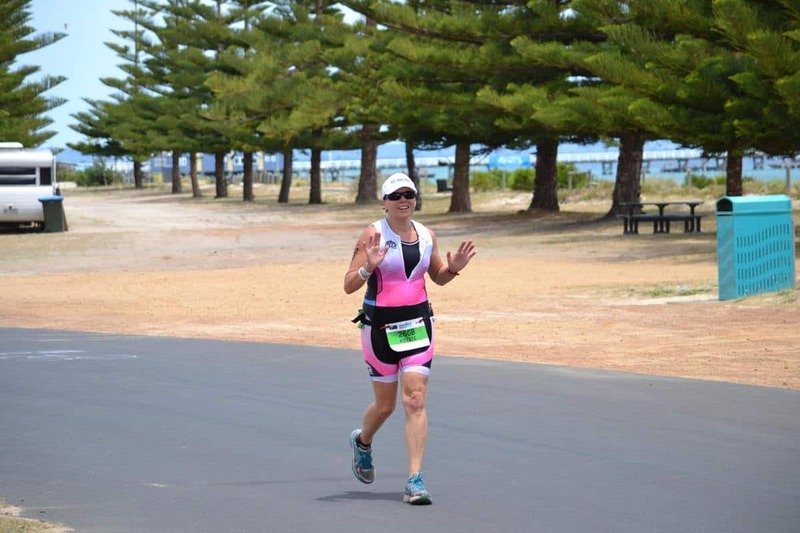 Roz H completed her 4th 70.3 like a champ – finishing the run with some leg pain but pushed through. 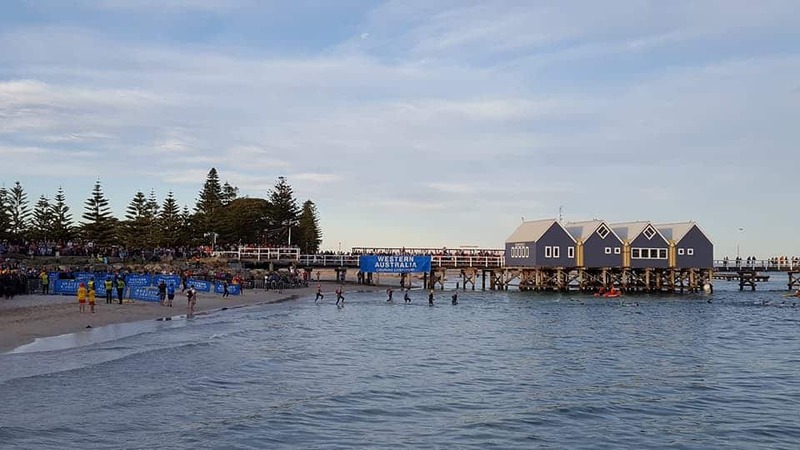 If there is an Iconic swim in Australia, it is Busso, so to have that taken away was disappointing but the right call to make. I struggle with the swim. 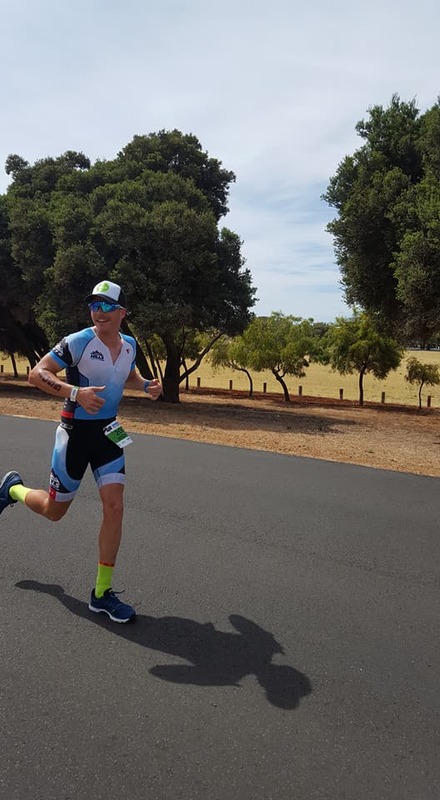 It has never been my strongest leg of any triathlon. And yet my name means the Ocean.. go figure! 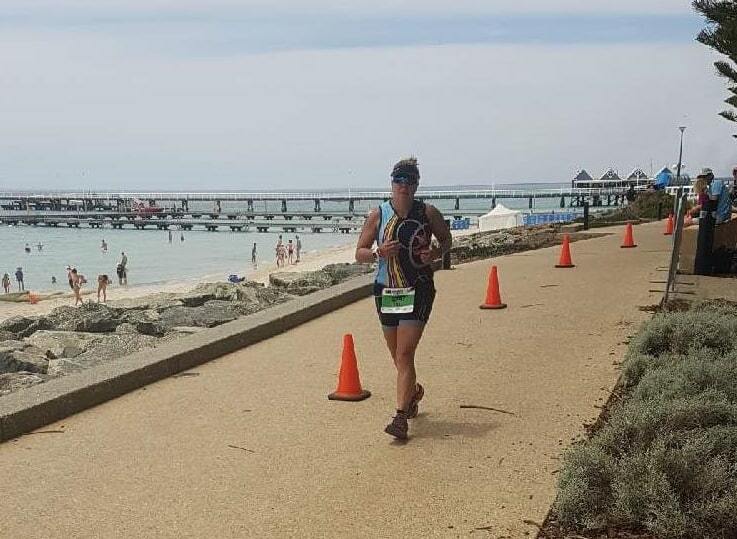 I had trained consistently over 6 months and have managed to pull off a swimming fitness that took out my running fitness. I will never know now how well I would have done in the swim. WA needs to do something about making the ocean safe again. Moving on a flat bike course is great in an OD or Sprint but for 6.5 hrs it was brutal, constantly pedalling with no respite. 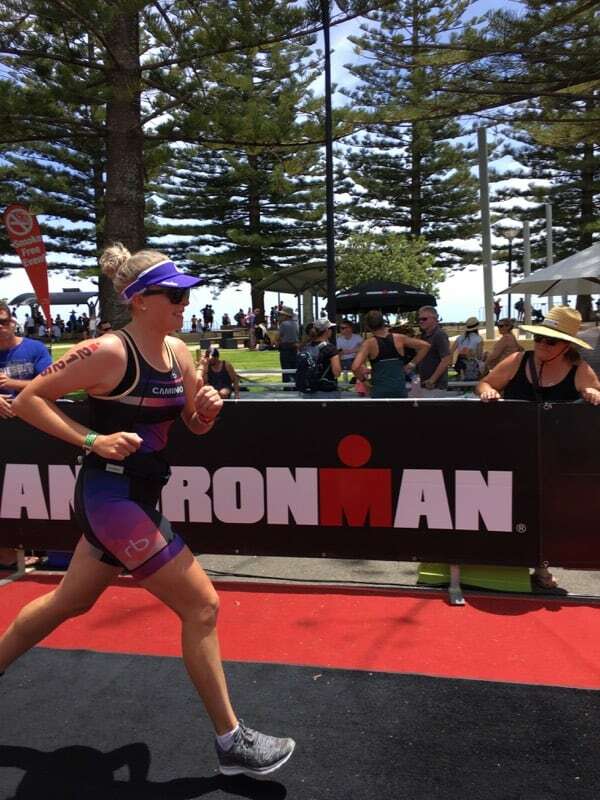 Wind picked up in the 2nd lap, the heat was intense. Heat rose from the ground and my feet underneath were burning. I had developed small blisters which hurt when pedalling. My pace slowed but managed to get off the bike in 6hrs 45 mins. I went out on the run with great intentions but knew that was a pipe dream. Demons were at play. 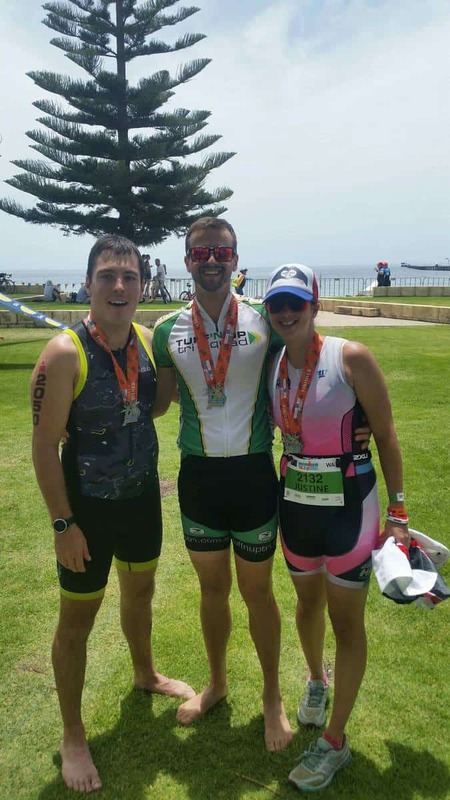 I threw up 3 times – Endura electrolytes stomach could not take it. I ended doing a marathon run on Coke and water. The soles of my feet were killing me. The demon resurfaced and was telling me, you are not going to make the cut off time. Support offered to me came in the form of Club alley, my cousin Lou, Coach Trav, Kingsley and Yanti and would you believe it a childhood friend with Yanti I hadn’t seen in 40 yrs. 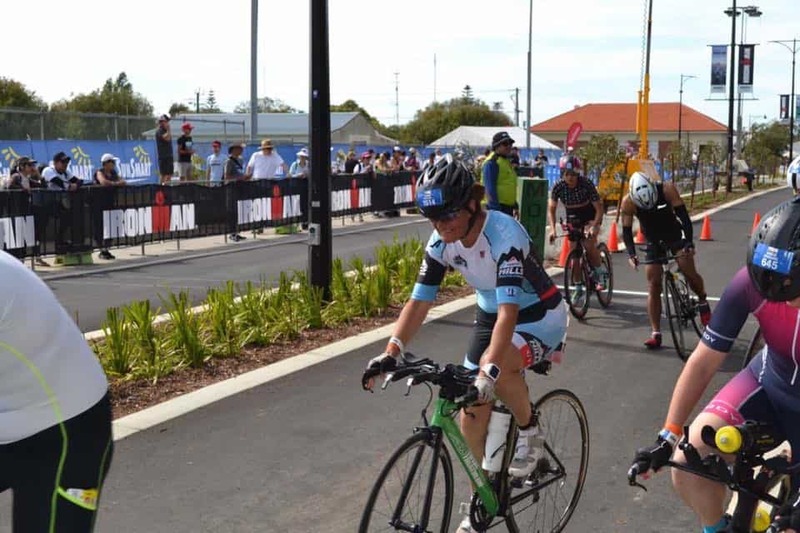 On the last lap my body was struggling and shutting down. 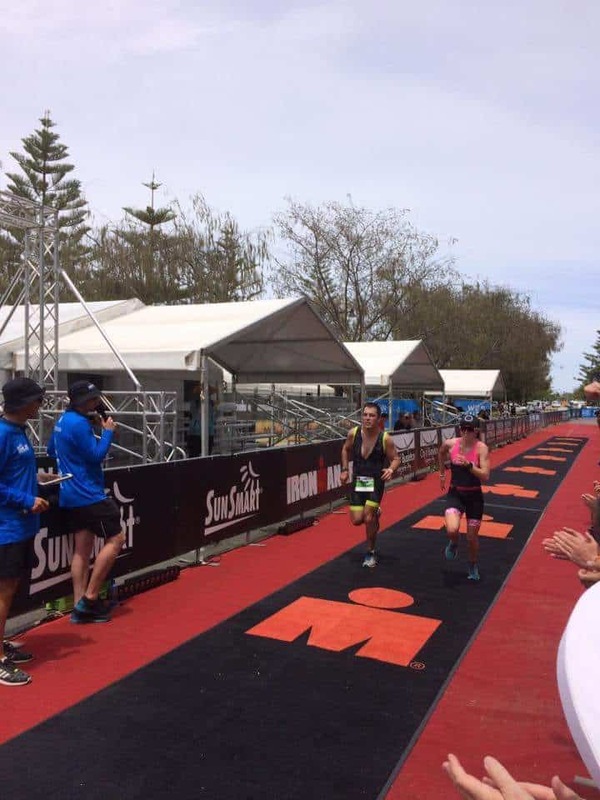 I pushed through, got rid of the demons and ran/shuffled through to hit the IM carpet and call it – Job Done – I am an Ironman! I am walking a bit funny the day after but the medal, finishers towel & t-shirt were worth it. 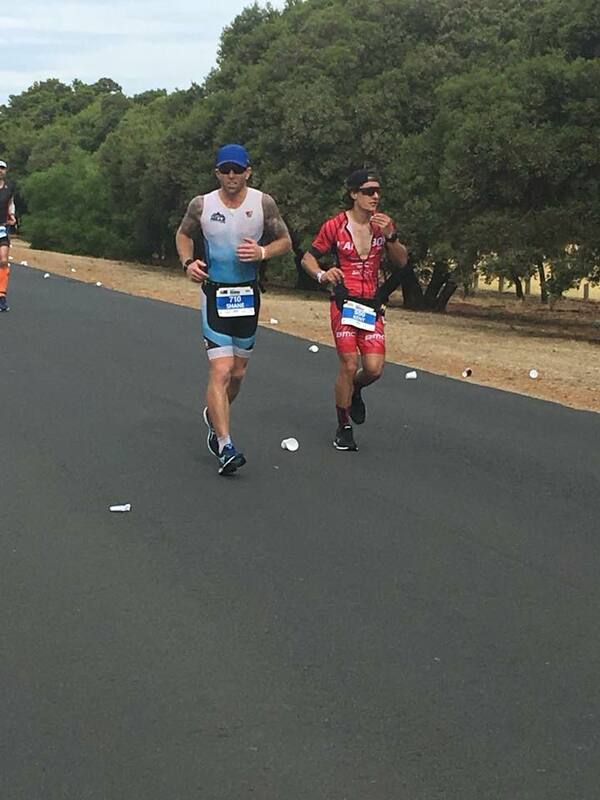 Do I see myself doing another Ironman? Of course – I have unfinished business. A jetty swim. 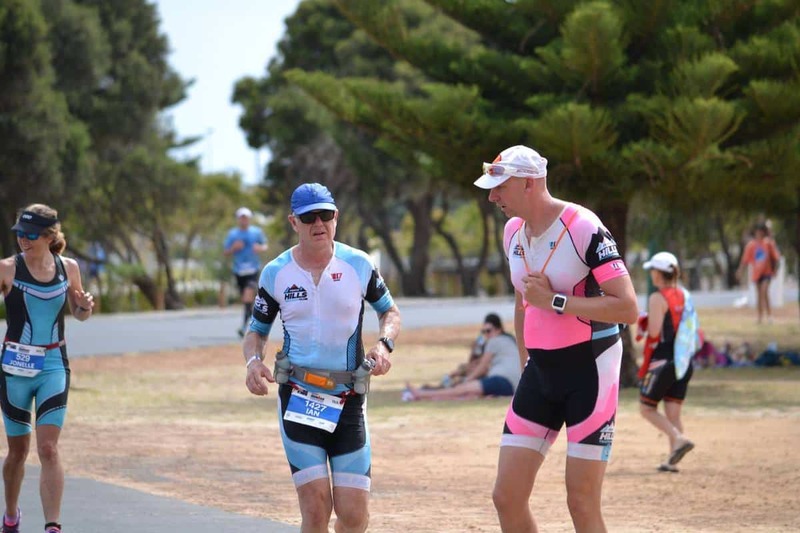 Maybe a crack at Ironman NZ – no sharks or bushfires! 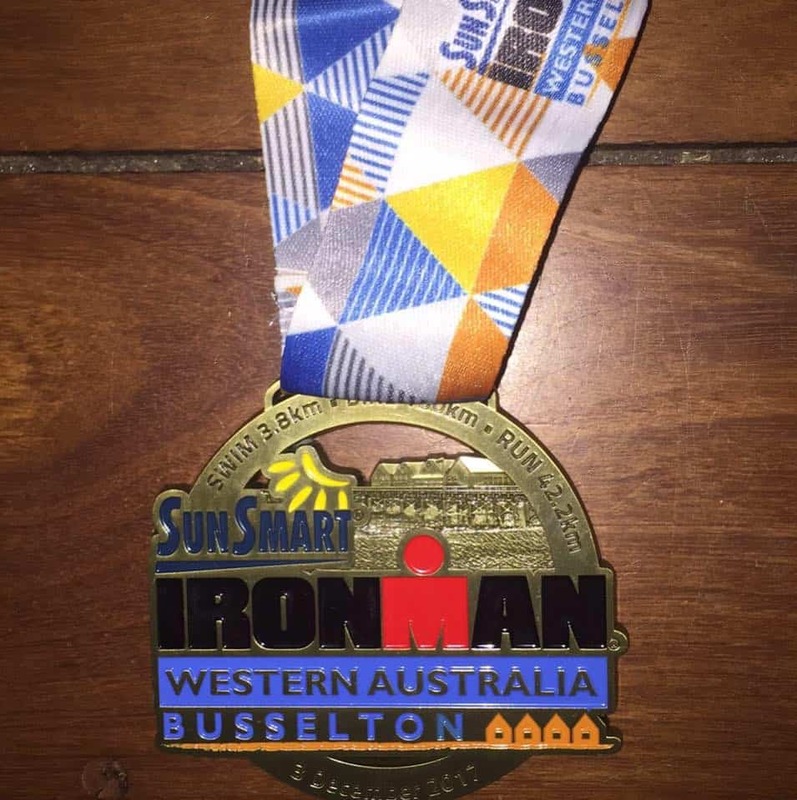 Thank you IM Busso for the experience! 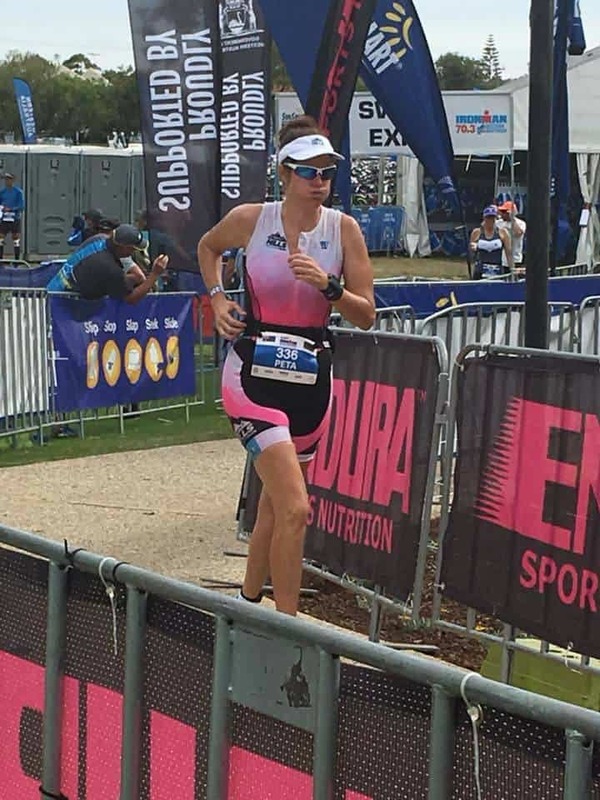 Monica B – 3rd in her age group! 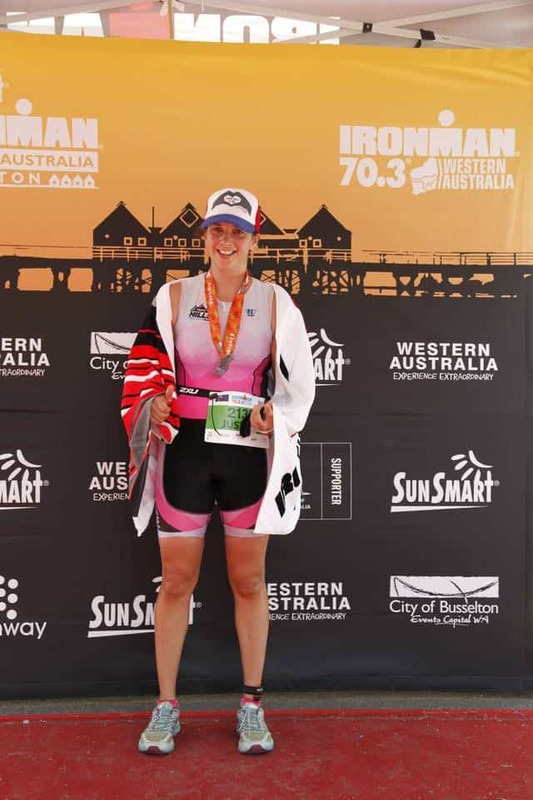 My journey to Ironman Busselton was an unplanned adventure. 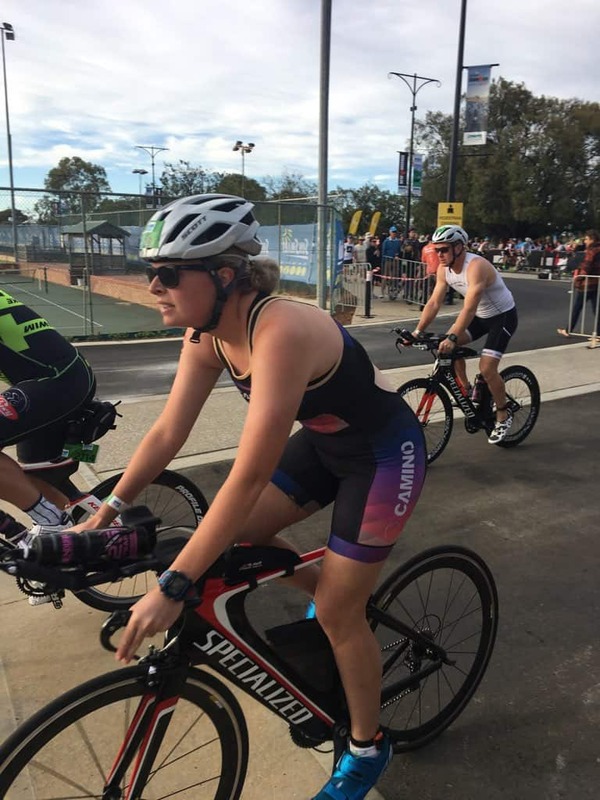 This time last year I thought it might be fun to do a triathlon. 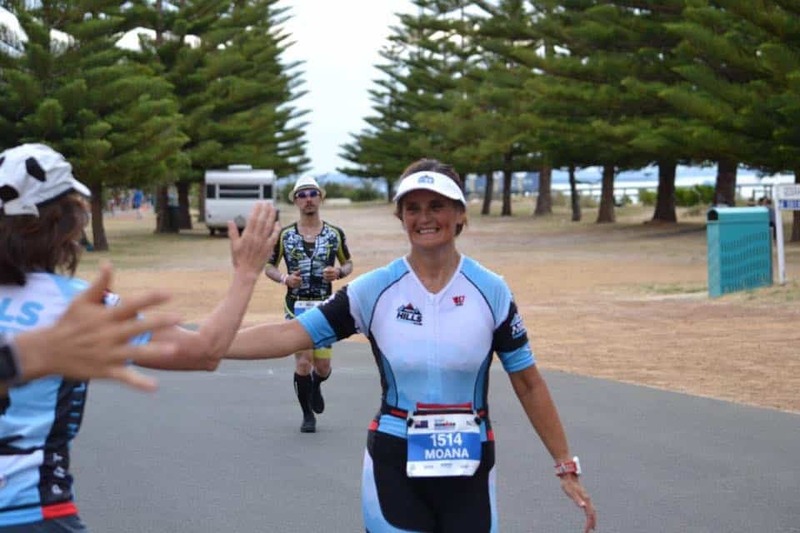 I met some amazing people at Armadale swimming pool who thought I could, supported and sometimes gently pushed me towards the finish line. I am so honoured to a part of this diverse group of wonderful people who are fantastic role models for all of our families. It was hot, horrible and relentless. Getting that one done was more satisfying than the one I did injured in 2015. Just because there was no swim did not make it easier. In many ways it made it harder. Not warmed up, too fresh were some of the comments. 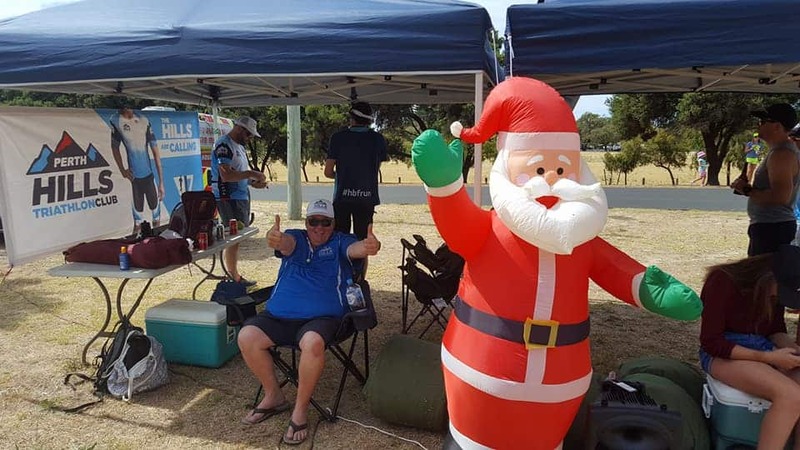 All I can say is it hurt… when I wanted to quit, I just wanted to get back to the club tent because I knew they would help me keep going. I have no idea of my times. I finished near the bottom of my age group but based on state numbers 20% failed to finish in my age group so I will take my finish and be proud. Thanks to our supporters, you got me through! 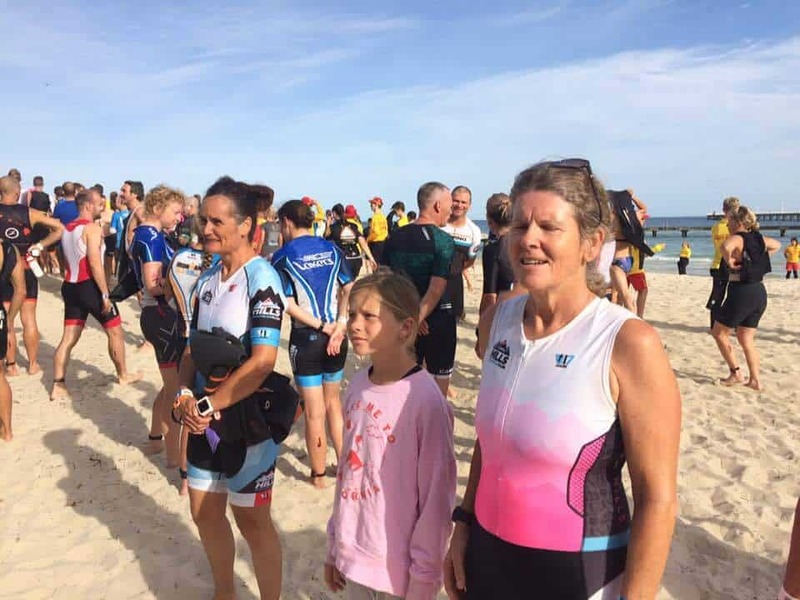 Cried and then got my smile on – 2nd time no swim for me at Busso – damn sharks. Nailed a new PB on the bike. Died in the run – too hot. The team was amazing support! Posted on December 5, 2017 under in Uncategorized | By nikkyb.